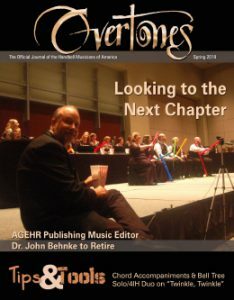 Each handbell musician who attends a DB event and performs in the final concert is evaluated and placed into one of the three categories below. This evaluation takes place every event the musician completes. Can attend one DB event within the next 24 months (4 events total) – no reapplication required. If don’t attend within that period, will be required to reapply. Can attend one DB event within the next 24 months (4 events total) – no reapplication required. If don’t attend within that period, will be required to reapply. Expected to show improvement in specific areas at next event. Specific areas in which development and/or instruction are needed will be cited. Must reapply and may be asked to provide a video and/or evidence of significant skills building experiences such as lessons, workshops. Specific areas in which development and/or instruction are needed will be cited. The evaluation is based on direct observation of all handbell musicians at the event by one or more staff. On occasion, there are persons present who are not ringing who will be asked for input. We begin the process with the first rehearsal to try to assess preparation. We watch throughout the event to see what improvement (for example, how much they are watching the director and the ability to correct mistakes) we see. 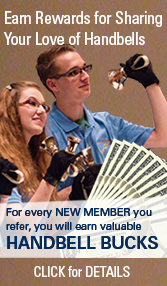 On occasion, handbell musicians may be asked to provide input on others. Also, other musicians occasionally provide unsolicited input on their neighbors, and that input is tested with the observations. Please note that there is NOT a forced distribution of the handbell musicians into these categories – the percentages are only intended to give a general idea.